Oneohtrix Point Never’s new single “I Bite Through It” is a dark and dangerous sort of song. It’s distorted and sinister, built on a fleeting but nonetheless prevalent structure of pounding beats and flashing synthesizers. And while it frequently abandons anything close to a consistent time signature, when it finds its feet, they stomp and pound with a militant four-on-the-floor charge that sounds more like the work of an early ’90s act like Nine Inch Nails or Ministry. Daniel Lopatin has, throughout his Oneohtrix career, pursued sounds that are both noisy and difficult, and sometimes even disturbing. His complex and arty approach to ambient and abstract electronic music has never been the relaxing sort. But this is the first time it’s ever actually sounded like industrial. It’s not wholly coincidental. “I Bite Through It,” along with many of the other songs on new album Garden of Delete, came out of a period in which Lopatin used guitar more heavily and found himself in love with the sound of heavy music again. As this was happening, Trent Reznor invited Lopatin to tour with Nine Inch Nails during the summer of 2014, which proved serendipitous, if not immediately logical to those who were being introduced to Oneohtrix Point Never for the first time. 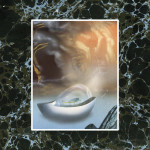 Garden of Delete is, for Lopatin, a fascinating foray into industrial ambiance, rife with his characteristic array of disembodied voices set against towering synths and a sinister wall of distortion. It’s new ground, and yet it’s also one piece in an ongoing trend that has seen electronic producers pushing toward heavier, noisier and more intense sounds. For the last five years at least, a menace has been slowly creeping into electronic music, infecting dancefloors with virulent and violent sounds, sometimes subtly and sometimes with a palpable, overwhelming sense of terror. Beats are once again being industrialized. Electronic music’s recent fascination with noise and horror arguably grew to prominence with the rise of the oft- and deservedly-maligned witch house genre, which substituted human voices for chopped-and-screwed distortions (and alphabetic characters for triangles and crosses). But while there was some level of darkness in the rise of acts such as Holy Other and Salem, the world of witch house still seemed mostly like kids playing dress-up—or worse—when set against the rising Modern Love label scene in the UK, helmed by acts such as Demdike Stare and Andy Stott. These artists weren’t just chasing a gimmick, but an aesthetic ideal. Their music is dark, but free of gimmick, displaying a detailed kind of craftsmanship in each shadowy bass thump. Andy Stott in particular made dark electronics into an inimitable art form, and one that convincingly sounded like the product of analog sources. Stott’s form of dub techno employs the methodology of industrial pioneers such as Throbbing Gristle and Nurse With Wound, without ever particularly sounding like them. His 2014 album Faith in Strangers even featured sampled sounds of a massive factory wheel on the track “Science and Industry,” which added a squeaking, mechanical power to a haunting industrial techno. That it’s still recognizably techno speaks a lot to Stott’s ability to make music that’s still meant to get lurching bodies to move. Yet his talent in outdoing his own feats of grimy, noisy audio tension is what makes those beat-laden compositions consistently interesting. Dark dance music isn’t anything new, of course. If you’ve ever been to a goth night, that’s more than obvious. And, to a certain degree, the growing industrialization of electronic music today seems like a parallel to the rise of EBM (electronic body music) in the early ’80s. The early musique concrete experiments and noisy pulses of proto-industrial brought about a more club-friendly form just a few years later, and singles by the likes of Fad Gadget, Cabaret Voltaire, DAF and Nitzer Ebb found a more accessible outlet for the aggression and nihilism of the industrial spirit. The electro-industrial evolution happening right now doesn’t feel quite the same, even though it shares a similarly abrasive aesthetic. Outside of more explicit EBM-revival acts like Youth Code, the landscape features far fewer acts employing minimal synth hooks and martial stomps. The influence, however, is palpable, and the various modern interpretations of industrial among contemporary producers has made the decade so far very exciting. The Knife’s Shaking the Habitual was one of the noisiest records of 2013, driven by radical politics and some of the nastiest beats of recent years, while The Field’s Axel Willner, that same year, made one of his most sinister records yet, Cupid’s Head. 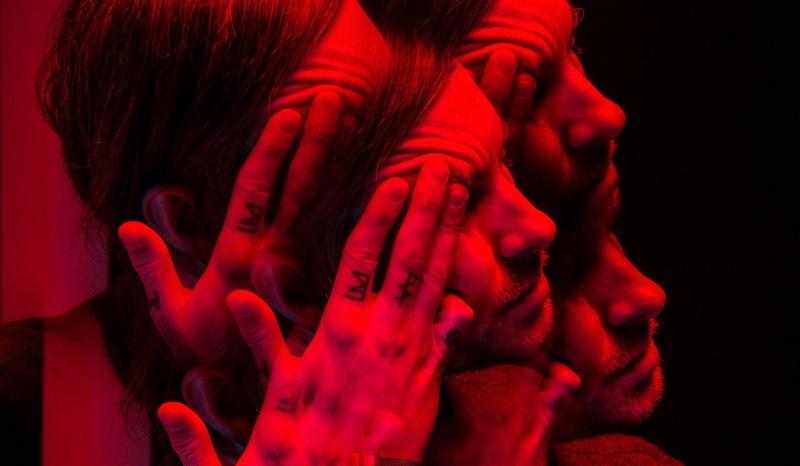 This year has seen some of that darkness seep into the bloodstream of more conventional indie rock records, though no artist of late has found a better injection of venom into the pleasure center than Benjamin John Power, aka Blanck Mass. Power’s second album, Dumb Flesh, is a more explicit exploration of noise on the dancefloor than its predecessor, and the single “Dead Format” sounds like the logical conclusion of electronic music’s ongoing embrace of its darkside while in pursuit of a perfect BPM. Los Angeles quartet HEALTH, too, has also embraced dark electronic music with open arms. On their first two albums, the band hinted at the kind of twisted euphoria they’d find with more grinding loops and buzzing samples. HEALTH, who has also toured with Nine Inch Nails, offered the perfect prototype of this with 2009′s “Die Slow,” and six years afterward, their long-awaited third album Death Magic is the fulfillment of a promise of an album’s worth of “Die Slow”s, and because of that, it’s their best album. It’s a pop album, but a fucked up one. HEALTH always had songs such as “Stonefist” and “New Coke” in them all along, but it doesn’t hurt that they collaborated with fellow twisted genius Bobby Krlic, aka The Haxan Cloak, to find the proper sonic treatment to make them buzz at just the right frequency.